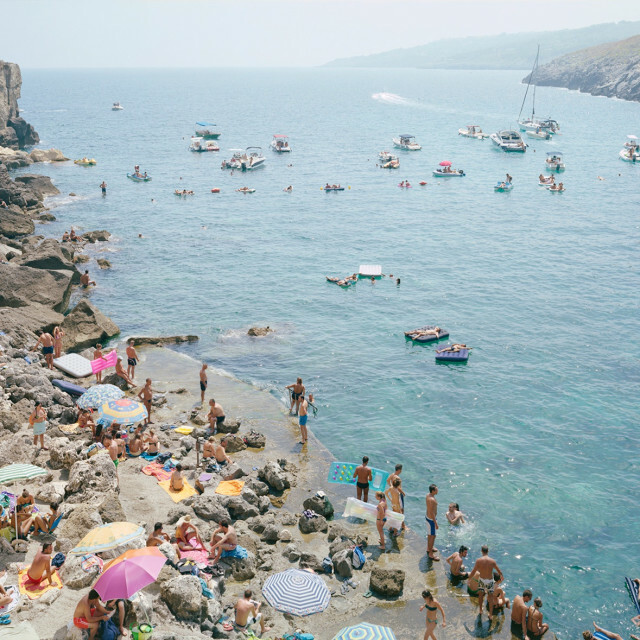 Massimo Vitali was born in Como, Italy in 1944. Internationally respected for his acclaimed oeuvre of large-scale color works depicting people at play, masses at leasure, Vitali photographs beach scenes, popular ski locations and tourist destinations. In them, we are able to see ourselves with the perspective of distance as we interact with our environment. Vitali has exhibited extensively in museums and galleries internationally, and his work is included in some of the most important private and public collections in the world. Centre George Pompidou, Paris, Reopening Exhibition, Jan, Le Temp Vite. Edicion Especial Faro de Vigo, Agrupémonos Todos,cat. mostra, 2003, MARCO, Vigo and ARTIUM de ALAVA.